I was referred to Creating a World Without Poverty during a discussion on advogato some months ago, but it took rather a long time to obtain the book for various reasons and then I forgot about this review until a recent discussion on new Cooperatives-UK Chief Ed Mayo’s site. Better late than never, here’s my review of it. Let me know what you think of this book. Author Muhammad Yunus is founder of the Grameen Bank, Bangladesh, one of the microcredit pioneers, but that story has been told in another book Banker to the Poor. The prologue of this book starts with the creation of Grameen Danone – a joint venture between the bank and the France-based Groupe Danone – then part one describes problems in capitalism and introduces the idea of Social Businesses as a complement to what the book calls Profit-Maximising Businesses (PMBs), or what most people know as usual shareholder companies. Part two then covers the Grameen Group from its start in banking, through an impressive list of short company case studies – some Social, some PMBs, some joint-ventures – up to the first year or so of Grameen Danone. The final part then talks about creating a marketplace which is open to Social Businesses, harnessing Information Technology to spread these ideas (more on this in a later article on this site) and using those innovations to banish poverty from the world. The epilogue is the Nobel Prize Lecture “Poverty Is a Threat to Peace” which seemed to read almost as a simplified summary of the book’s main ideas. On the one hand, the argument seems to be that profit-maximising businesses are problematic because of their single-minded focus on profit-maximisation. This is an argument that I largely agree with, as you may remember from my short review of Joel Bakan: The Corporation. On the other hand, it proposes to remedy this by creating Social Businesses with equally single-minded focus on social problems – this seems like a recipe for disaster! If profit-maximisers threaten to wreck the environment, human rights or whatever else isn’t in their goals, why won’t Social Businesses using similar single-purpose company formation rules just as easily threaten to wreck whatever mentioned isn’t in their goals? If this book is correct and entrepreneurs are multi-faceted human beings who will act to promote social aims (which they must if they are to invest in Social Businesses), then the only robust way forward is to promote businesses that do not try to simplify that multi-faceted nature, whether for profit-maximisation or for a subset of social aims. The best form of businesses that I know for trying to represent all interests of their owners are cooperatives. Cooperatives are examined in part one of the book and dismissed after less than a page (p35) because they are “not inherently oriented towards helping the poor or producing any other specific social benefit” (which is a misleading claim because concern for community is a basic principle of cooperatives which all should uphold), they can be owned equally by the wealthy as well as the needy (why is this a problem?) and they can sometimes be demutualised into PMBs. Ultimately, if that’s the will of the people, that can’t be completely prevented, but recent developments have found ways to make that much less attractive (so-called anti-carpetbagging rules). Doing what people want is not usually a problem in other spheres – it’s democracy. What’s really infuriating is that the author proceeds to describe Social Business which are aimed at specific social benefits (rather than all), can only be owned by the needy but can access the resources they need by donations from the wealthy or by forming joint ventures with them (even very unequal ones) and can be “desocialised” into profit-maximisers (p178). The same problems which were used to reject cooperatives exist just as badly, if not worse! So, ultimately, I found this book a bit disappointing. There are lots of good ideas, but when presented with a ready-made round wheel for the basic problem of tempering profit maximisation, this book reinvents an oval one. I suppose I shouldn’t be surprised. 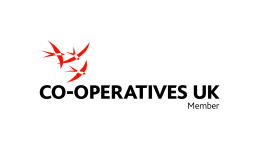 The misleading criticism of cooperatives is sadly typical of much of the current social enterprise movement, which I mentioned as a drawback in the recent case study of our co-op by Cooperatives-UK. I don’t know if social enterprise enthusiasts are informed by the thinking of people like Muhammad Yunus, or if the high-profile authors simply reflect the movement. Have you read this book? Did you spot this contradiction? Do you feel it has other problems that I’m ignoring? Or is it a work of genius and I shouldn’t be disappointed with it? This entry was posted in Cooperatives and tagged advogato, book, book review, cooperatives, corporation, Creating a World Without Poverty, ed mayo, grameen, microfinance, nobel prize, review, socent, social enterprise, uk. Bookmark the permalink. Profit maximizing isn’t quite so evil if the company has a three-hundred-year outlook. Polluting the environment has a negative effect on profits when looked at long-term, as well as a host of social issues. It’s too bad the investing community can’t see beyond ninety days. Basically, I agree with that. Even most long-term investments seem to be reviewed each year these days. The three-hundred-year outlook idea seems similar to the idea that bankers bonuses should be more long-term. Is it possible? It seems to have been difficult for governments to get a three-year outlook from banks that they own most of, so how much harder would three-hundred-years be? I suspect it’s impossible and “social clauses” like in cooperative company rules are the way forwards.